Changing culture - these words are buzzing around our Diocese at the moment. You hear them in safeguarding and in senior leadership meetings and they offer an intriguing insight into where we might go and perhaps how we might go. This morning I met with the good people of St Andrew’s Earls Colne for their Harvest Service. After taking their service I was given a little booklet on the history of the church. This often happens, but rarely have I read one that was so interesting. It’s here that I read an article about Quaint, Honest Abraham, a memorial to an Earls Colne gamekeeper. 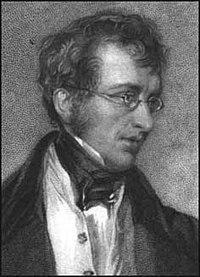 Abraham Plaistow was known to be of humble station, quaint, honest, simple-hearted and "to all our village dear". The Buxton family, together with young son Thomas, moved to Earls Colne in the late eighteenth century. Young Thomas was known as “daring, violent and domineering of temper” and he fell under the influence of Abraham, eventually becoming a reformed character. “This tutor of mine could neither read nor write, but his memory was stored with more natural sense and what I called mother-wit than almost any other person I have met since. He always held up to us the highest sentiments as pure and generous as could be found in the writings of Seneca or Cicero, He was our play-fellow and our tutor”. So how do you change culture? The Abraham way was to live a quaint, honest, simple-hearted life. To live in such a way as to influence the young, however violent or domineering of temper they might be. To shape a life through integrity. And see how culture changed! I couldn't find any image of Abraham, just of Thomas, but I think both had a important part to play in changing the prevailing culture for millions of people. Perhaps a change of culture might best be achieved through a change of character.